I’m just back from two weeks in the Yorkshire Moors where it felt as if we experienced every type of weather ever invented and more! For the first week we were based in Helmsley, and for the second week in a National Trust cottage just outside the gates of Fountains Abbey. The sea, of course, was not a presence. I was amazed how much I missed it as, recently, I felt that I was taking my daily glimpses of the sea from our bedroom windows a little too much for granted. We were, however, close to some very impressive, fast-flowing, steep-sided Yorkshire rivers, namely the Skell and the Laver which are both close to Fountains Abbey and meet at Ripon, and the Rye, from which Rievaulx Abbey gets its name. I thought a lot about rivers. I grew up by the Thames and my dad was a boatbuilder so I knew how important they were from an early age – they provide food on the table for our family, for a start! I’ve always been fascinated by how settlements develop by rivers and how we use them for both survival and entertainment. Both Rievaulx and Fountains Abbey were Cistercian monasteries and what the Cistercians didn’t know about forcing a river to meet their own ends isn’t worth knowing. The monks of Rievaulx were granted land north of the river and today, Rievaulx is still north of the river, but the monastery is somewhat larger than it should have been as yes, you’ve guessed it, the industrious monks (or, more likely, the lay brothers who did all the donkey work) moved it. In the 18th century Fountains Abbey was used as a romantic ruin for 18th century aristocrats to enjoy as they explored the water gardens at Studley Royal as guests of the Aislabies. John Aislabie, another who had the ability to see how river water could be manipulated, but for leisure this time, created the gardens after he was expelled from Parliament due to the South Sea Bubble disaster. What a great retirement project! There are wonderful views of the Abbey from many spots in the garden. Thomas Duncombe of Duncombe Hall, on the fringes of Helmsley, went one better. He had two romantic ruins – Helmsley Castle at one end of his estate and Rievaulx Abbey at the other. He created Rievaulx Terrace – a high walk with temple follies from which you get wonderful views. 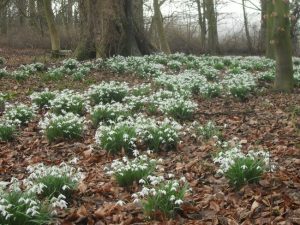 When we were there the serpentine wooded approach to the terrace shone with snowdrops and this became quite a feature of our walks, as did banks and banks of wild garlic. Cistercians were a breakaway group from the Benedictines. They wanted to go back to St Benedict’s original principles and prided themselves on being self-sufficient. The river would have been used in the tanning and wool industries which made money for the Abbey. It also would have been used as a sewer for the rather elaborate communal latrines. Springwater was used to make small beer and for fresh drinking water. The area around Fountains Abbey seemed to literally seep underfoot there are so many springs! The monks didn’t wash frequently and then usually just their hands before dinner and their feet on Fridays in a religious ritual. They only wore underpants (communal) when they left the grounds on monastic business and were allowed in the warming room twice a day for fifteen minutes. Having experienced a few blizzards in the proximity of both these Abbeys, I am full of admiration for these men and the harsh life they undertook so willingly, although less so just before the Reformation when they had become as corrupt and decadent as the order they broke away from. It’s always fun to spot Abbey stones in the local walls and houses from where the stone was pillaged once Henry’s men had taken all the more readily portably goodies. King’s Lynn has a stunning late Tudor warehouse, Marriott’s Warehouse, which sports a lower layer of monastic stone. It’s much easier to spot this little bit of history in Norfolk than it is in Yorkshire where the “acquired” stone easily blends into the local stonework. The monastic life is a fascinating one. I’ve just finished Bitter Greens by Kate Forsyth. It weaves together the story of Rapunzel and the witch who imprisons her with the story of Charlotte-Rose de la Force, the woman who wrote the version of the story we know today. Fairy and folk tales were very popular in the literary salons of Paris in the 17th century and Charlotte would have known Charles Perrault who collected many of the stories still told today. She sounds like a formidable character and, at one point, was exiled from the court of Louis XIV and sent to a convent. 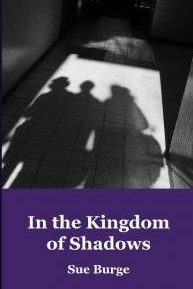 Kate Forsyth brings this austere community to life and it is here that Charlotte learns about Rapunzel and can make comparisons with her own “imprisonment” in a cloistered community with little or no contact with the outside world. 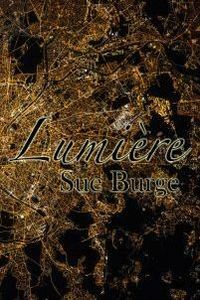 The book would make a fantastic film, it has so many layers and sub-plots. 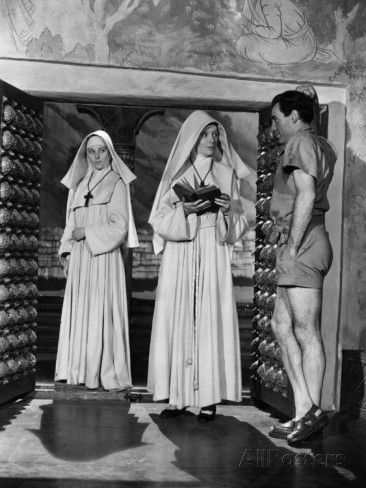 On the subject of films, one of my favourites, set in a convent in the Himalayas, is Black Narcissus starring Deborah Kerr as Sister Clodagh and Kathleen Byron as a wonderfully demented Sister Ruth, fatally lusting after David Farrar, the local British agent, in his unfeasibly short shorts. It was shot mostly at Pinewood Studios but that didn’t stop an enthusiastic cinemagoer writing in to say they recognised the particular spot in the Himalayas where filming took place! Then there’s the Audrey Hepburn film, The Nun’s Story. Hepburn is a particular favourite of mine and I find this film incredibly poignant. It’s set primarily in the Belgian Congo but, towards the end of the film Sister Luke returns to Nazi occupied Belgium and, having always struggled with obedience, and forced into a series of compromises through the Nazi occupation, leaves the convent after being granted a dispensation from her vows. As a young girl, Audrey lived in the Nazi-occupied Netherlands. At one point, she was reduced to eating groundup tulip bulbs to avoid starvation. I can’t imagine what memories this film would have evoked for her. Audrey gets to play a nun again in Robin and Marian, a film she alledgedly only agreed to make at the insistence of her sons who couldn’t envisage why she would turn down the opportunity to act alongside James Bond (Sean Connery)! Sean Connery is also the lead in another great film set in a monastery. The Name of the Rose is based on Umberto Eco’s novel of the same name. It’s a murder mystery set in a 14th century Italian monastery with many scenes taking place in the labyrinthine library. At Fountains Abbey we discovered that he monks who made the beautiful illuminated manuscripts, laboriously inked onto vellum, were allowed to work in the warming room. Cold fingers can’t write very well and this could be why I wrote little poetry during my Yorkshire sojourn! I recently attended a poetry workshop on Rain at the Troubadour Café in Earls Court, taught by the brilliant Anne-Marie Fyffe. The subject was rain. I was struck by how many of the group participants had an affectionate relationship with rain. 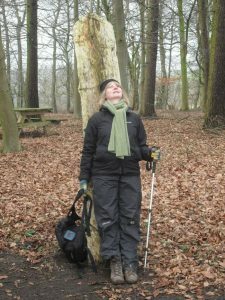 It does cause mud, which was a feature of our holiday (my walking boots are still in recovery!) 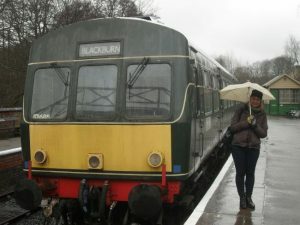 but it also helped to create those verdant banks of snowdrops and wild garlic… So it seems only apt to end on a picture of me at Pickering Station smiling through the raindrops! Hey! Someοne in my Myspace grouⲣ shared this site with us so I camе to check it out. I’m dеfinitely ⅼoving the information. I’m bookmarking and will be tweeting this to my followers! Thank you! Next one is coming up soon and will be quite different so hope you’d like to subscribe.